On my daily weather report app, a snowflake appeared, then disappeared, then appeared again. On Thursday afternoon, our superintendent cancelled school for Friday. I was skeptical. Snow? Really? The last real snow I remember was a freak one in early March of 1988. I was pregnant with my second child, and I remember my coat would not fit around my bulging belly. My oldest was 3. Neighbors made a snow bunny. Since then, we’ve had ice rarely, and snow flurries every 7 years or so. I woke up a little later knowing I could. When I opened the door to let my dog out, I was shocked. Snow! Real live snow! Falling and sticking! Neighbor James makes a snow angel. The snow fell for hours. Reports say we got 1-2 inches. To us here in South Louisiana, that’s a blizzard! 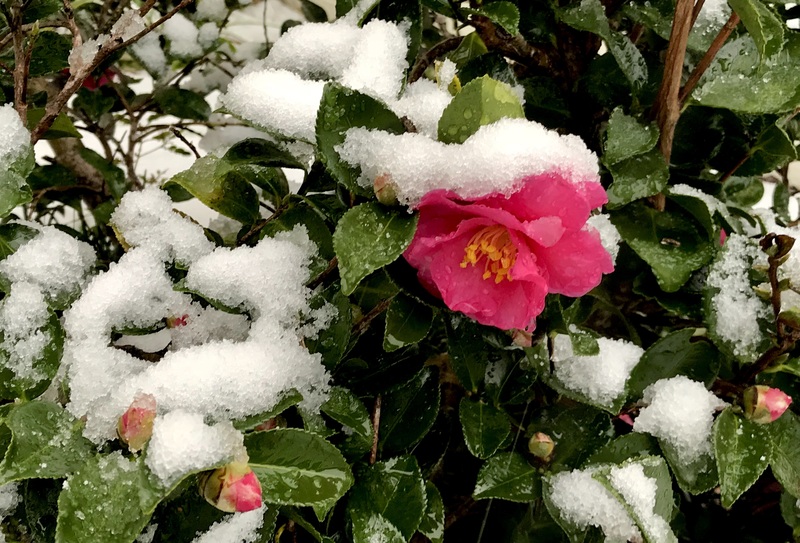 What a gift to open our Kidblog and see that Lynzee had written a poem about the snow! Our local news station, KATC, made this video about the 2017 snow event. Such delight! What a joyful poem! The video was fun, too. Snow is not unusual here in Indiana, but we’ve had a couple of light winters, this year snow has come later than usual, too. Our first accumulating snow is expected today, only an inch or two. That amount is fine with me! It will be beautiful, on the trees especially. But the roads won’t be treacherous. Snow! Oh my! What crazy weather we have. What fun. Unexpected snow. We got about the same here today. Your student wrote with such glee, Margaret. 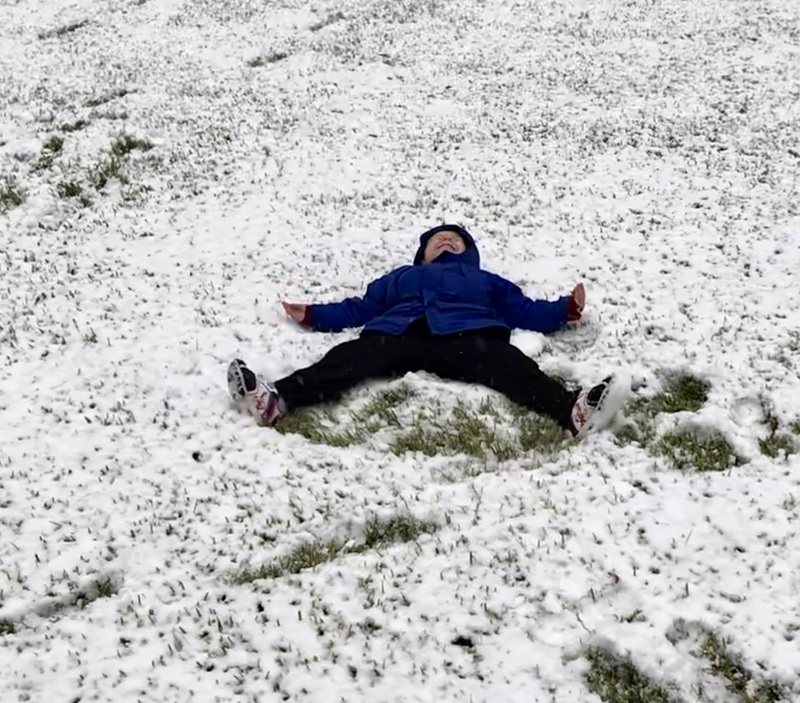 How wonderful that some get the surprise of snow for the first time! Love it! Lovely post. I loved Lynzee’s poem, too! Snow, especially when you don’t get it very often, brings smiles to all! Love Lynzee’s poem. The joy of snow is so much bigger when it snows so seldom.